Tom Keifer has seen the view from some of the highest mountaintops in the music business and had to claw his way out of some of the deepest pits. Times changed, and in the 1990s, so did Keifer’s fortunes. First, there was a shift in the music scene as the grunge movement and a more grim outlook ushered out the good-timing hard rock that Cinderella was known for. “I still want to get a shirt that says, ‘I survived the ’90s,’” Keifer jokes of the period. But even worse news was on the way as Keifer was diagnosed with partial paralysis of his left vocal cord and the grim prognosis that he’d never sing again. He struggled through Cinderella’s last studio album, Still Climbing, in 1995, then the band was dropped from its label Polygram and disappeared from the musical landscape for years. FRED PHILLIPS: I know this record has been in the works for a long time. What made this the right time for it? TOM KEIFER: There wasn’t really a grand plan with it. I produced this record independently, with no pressure from a label. It was more about when I felt like it was finished than anything else. There was no deadline or pressure to get it out, which was a different way to make an album for me. I started cutting tracks in 2003, and I didn’t intend to spend nine or 10 years on it, but that’s how it worked out. FRED PHILLIPS: I’m sure the music on the record evolved a lot over those years. TOM KEIFER: It did. This was the first time I ever made a record in Pro Tools, which is a format that allows you to edit much more freely than what we used to do on two-inch tape. The arrangements changed a lot, and even the grooves. It was a learning process for me. Sometimes into the wee hours of the morning, we were going down roads that maybe weren’t that great, which is one of the drawbacks of Pro Tools, but one of the cool things you can do is hit the undo button and it goes back to the way it was. So maybe we did some things that were not so great, but at least we weren’t sitting there with razor blades and scraps of tape all over the floor asking what are we going to do now. (laughs) We just had fun. I produced it with my wife, Savannah (Snow), who is a great songwriter and wrote a bunch of songs on the record, and a good friend of ours named Chuck Turner. The three of us just worked on it until we thought we had it right. FRED PHILLIPS: One of the things I noticed immediately about The Way Life Goes was the variety. There are songs that wouldn’t be out of place on Long Cold Winter, some very sentimental songs, even some country-flavored songs. 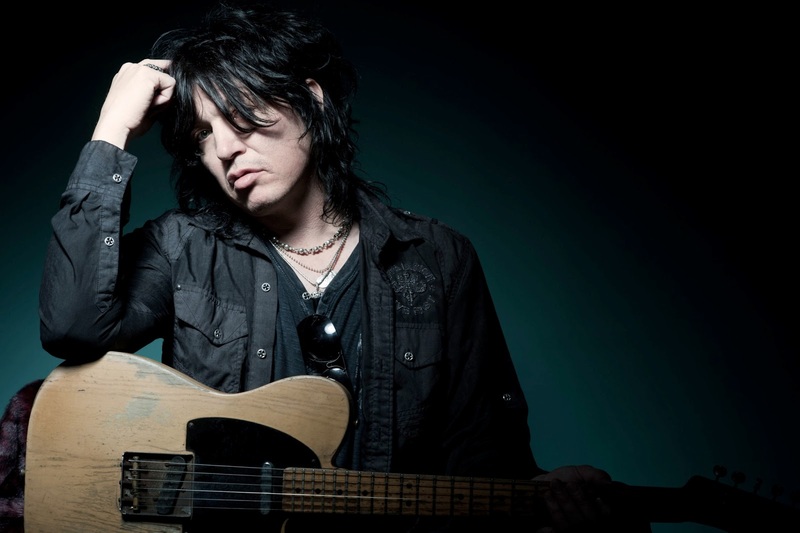 TOM KEIFER: I’ve always liked that contrast in music. I grew up with the Stones and the Zeppelins, and I always appreciated that. We kind of grew into that with Cinderella from the first record through Heartbreak Station. We learned a lot more as the Cinderella records went along about arrangement, instrumentation and production, and I tried to carry those things on in my solo record. FRED PHILLIPS: You’ve been living in Nashville a while, did the atmosphere there have any influence on the sound of the album? TOM KEIFER: Definitely. It’s such a musical town. I moved here in ’97, but I started writing with people here around ’95 because the band had split up for a while. The music scene was changing, we had lost our deal with Polygram, and I wanted to do something different. I love it here, and hopefully being around the songwriters here in Nashville, something rubbed off. I certainly had great musicians to work with. FRED PHILLIPS: How did you approach writing these songs differently from writing with Cinderella, or did you? TOM KEIFER: The approach wasn’t any different. I did some co-writes, but even in the co-writing situations, you have ideas bubbling in the back of your head. With Cinderella, the way I’ve always written was that I’d get a lyrical idea with a melody or some kind of phrasing. Those ideas never happen in writing sessions. You can be in aisle 6 at Home Depot and something starts playing in your head, and then you’re racing to get to an instrument to figure it out. Sometimes ideas will just roll around in the back of my head for weeks, months, even years, until I eventually finish them. What was different about this record was working with co-writers, which was kind of a new thing for me, and I’d come in with the inspiration that had been rattling around in my head. I always think it’s best to write from that place where something inspired you. People laugh at this, but when I get ideas, I don’t ever record them into voice memo or anything like that. I wait to see if they stick with me. If it’s still playing in the back of my head a month later, or a year later, there must be something to the idea, something memorable about it. Certainly, I’ve forgotten ideas and so be it. If I can’t remember it, maybe it wasn’t that good. FRED PHILLIPS: You’ve had some struggles with your vocal cords over the years. Talk a little about that and how it’s changed things for you. TOM KEIFER: I was diagnosed in the early ’90s with partial paralysis of my left vocal cord. It’s not a condition that can be cured with medicine or surgery. I was told I’d never sing again, or that I could sound like the kid in “The Little Rascals” — Alfalfa — and crack and yodel. That’s what my voice sounded like at the time, and they said that was probably as good as it was going to get unless I really trained my voice. They told me it’s not something that everyone can do. It’s gotten better and better as the years go by, but it’s still a continuing struggle. I’m always working with new teachers, new coaches and speech pathologists about how to make my cords work better and maximize what I have left. It’s gotten stronger and stronger and more consistent. I still have ups and downs, but on a good night, sometimes my voice is maybe even better than it was before. Certainly, I’ve developed different sounds and registers as a result of all the training. They’re not as consistent as I’d like them to be, but I do have new sounds and registers. FRED PHILLIPS: Given that your voice had a unique tone to it, did that make things more difficult? TOM KEIFER: It was a pretty wide range that I had from low to high. I don’t know how many octaves or anything, but it was a wide range. It was not a fun task to relearn it, let’s just leave it at that. I’m really grateful, and I feel fortunate that I’ve been able to work with some of the best teachers in the country and learn how to thread the needle and sing again. That’s all I’ve ever really wanted to do. FRED PHILLIPS: I’m guessing that on the current tour you’ll also be playing some Cinderella tunes? TOM KEIFER: The set is probably half and half, new and old. The best way I can describe it is that it’s not that far removed from what people are used to seeing from me. There’s a lot of really loud, blazing hard rock and high energy tunes, then there’s an acoustic session where I do some new songs and some old Cinderella songs in a little different way. I do a storytellers part, where I talk about the songs a little and tell stories about how they came about. That’s a little different for me. Not the acoustic set, I did some of that with Cinderella, but the talking on stage. I haven’t been known for talking a lot on stage in the past. That’s something that’s been unique to this tour that fans have had a very positive reaction to. They seem to like hearing the stories about how the songs were written. FRED PHILLIPS: What about Cinderella? TOM KEIFER: We’re on hiatus this year. We intentionally decided that at the end of last year because we had toured three years in a row. That will always be part of my life. I still love playing with those guys. This is just something that I’m doing right now. FRED PHILLIPS: Is there any chance of new music from Cinderella at some point in the future? TOM KEIFER: We’ll see. We’ve had our battles with that. We had one failed attempt a few years ago with a major label promising to resuscitate the band. The deal went south. We worked hard on the record, then it went bad, and it actually ended up in the courts. For a while, we were legally restricted from recording. That’s when I started this record. It’s not that we don’t want to make new music, but the situation would have to be right.